"Some Trolls Could Be Paid Agents"
I found this funny and strange at the same time. I think as crypto space gets more crowded there will be some frictions to be observed. Lets see whats going to happen. "Andreas Antonopoulos: Trolls are Disrupting Bitcoin Development"
Re: "Some Trolls Could Be Paid Agents"
It seems like the jumbo jet is up flying at 10 thousand feet high and it needs a vital maintenance . reminds me of the movie "speed" . I don't think they are being paid. They might be threatened or have been approached by government entities and that could enough to coerce their public opinions. A lot of people could have received national security letter or visits by various agencies and not given many options. Also consider a lot of people involved in Bitcoin actually were proudly involved in criminal activity early on and all of those activities were tracked on the blockchain. This allows law enforcement or whomever to approach any of the more criminal early adopters with get out of jail free cards in exchange for whatever. So I don't think you'll get very far trying to figure out who is being paid. On the other hand if the person had any involvement with Silk Road or anything questionable then law enforcement by now may have approached any of these sorts of people. If you're talking about intelligence agencies? They aren't going to pay anyone to troll either. They don't care about laws at all and will simply threaten people's families, blackmail, run scams or extort. The law simply doesn't exist to them. So I would say based on my understanding, most of what you see on the blogs about "paid trolls" is just paranoia of the Bitcoin community. There may be some people in the Bitcoin community who have been corrupted but this is to be expected in any community with a lot of money at stake. If you also know intelligence agencies around the world know about Bitcoin then you really shouldn't trust any of the core developers to be immune to being manipulated or corrupted. Assume everyone in any position of authority is already an agent or will be made into one if the market cap is high enough. Bitshares isn't immune either which is why it has to be decentralized. Anyone who can be targeted probably is already being targeted. Anyone who is important to the Bitcoin debate or any kind of thought leader is already on the radar of intelligence agencies. If situations get bad, at least with Bitshares there can be anonymous witnesses and developers who can take over, but do not assume anyone who isn't anonymous is somehow invincible to any government which may target them. To make some points. Bitcoin has been under DDOS many times before. The failed BitcoinXT fork also suffered from DDOS. Trolls in the current context don't have to be paid because there is enough philosophical division on it's own for this to arise. On the other hand if it were intelligence agencies and not just amateur trolls then the entire development team would be fractured, members would quit under mysterious circumstances, and questionable development decisions would be made. As of right now it would seem the development itself might be philosophically split but each side seems to want to make Bitcoin better or promote a certain agenda to appeal to a certain audience. 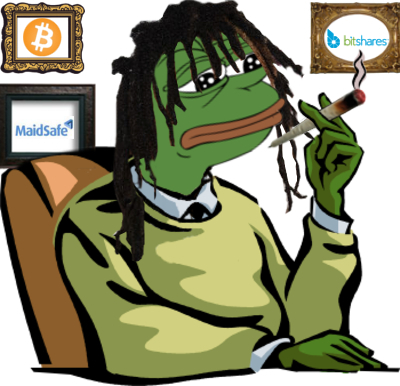 It has happened on Bitsharestalk before that sometimes someone will post some ridiculous FUD to try to get everyone to act a certain way. Other times people are genuinely concerned. So it really depends on who is saying it, and most of the time it's better to take people at face value until they show they have an agenda. If people were being paid where would the money be going? It's not going into BTS.